Tesco has announced plans for a "strategic, long-term" alliance with French supermarket giant Carrefour that would have combined sales close to that of Amazon. The alliance, which is set to be formalised in the next two months, will see the two businesses jointly deal with international suppliers, and collaborate on own-label product development. Tesco chief executive Dave Lewis said that pooling the businesses "product expertise and sourcing capability" would improve choice, quality and value" for consumers. 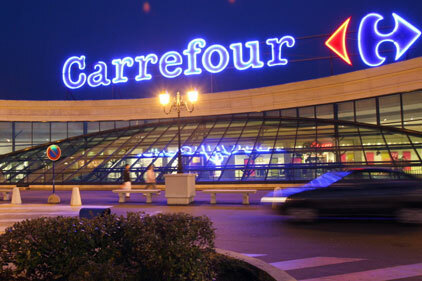 His counterpart at Carrefour, Alexandre Bompard, added that it was "a great opportunity to develop our two brands." In the Forbes 2000 ranking of the world’s largest public companies published last month, Carrefour and Tesco were ranked by sales as the world’s second and third largest supermarket businesses respectively, with sales of $91.3bn (£69.4bn) and $75.4bn. Their combined sales total of $166.7bn would take them above the biggest supermarket – the US’s Kroger, on $122.7bn – and place them not far behind Amazon, with sales of $193.2bn. The alliance would still be far behind Walmart’s sales of $500.3bn. The move comes after the UK’s second and third biggest supermarkets, Sainsbury’s and Asda, announced plans to merge, and also after Tesco acquired wholesaler Booker to create what it said was the "UK’s leading food company". Patrick O’Brien, UK retail research director at GlobalData, said that the move reflected that both retailers were "obviously concerned" by Amazon's moves into European grocery retail, as well as, in Tesco's case, the increased buying power of a combined Sainsbury’s and Asda. But he noted that because the focus of the alliance was own-brand products, it was "more of a direct response to Aldi and Lidl, whose offers are heavily weighted towards own-brand. Tesco and Carrefour have both struggled to match the discounters on quality and price, and the alliance should help it compete." For brands, O'Brien said, it was "another signal of battles ahead. Sainsbury’s and Asda have made it clear that it will target its largest suppliers for cost reductions by flexing their increased scale, and Tesco and Carrefour will look to do the same while reducing the number of branded products they sell as they increase their own-brand ranges."